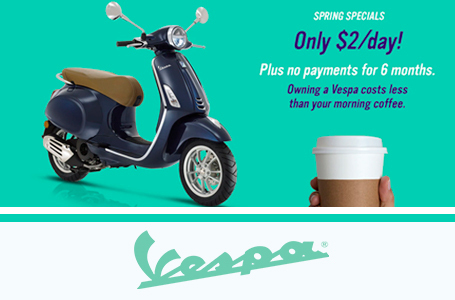 Start your two-wheel experience in style and make Primavera your first Vespa. 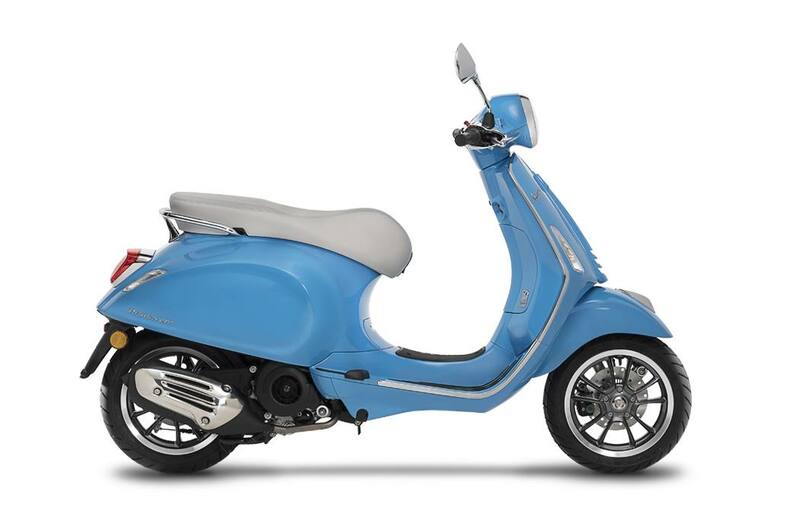 The air-cooled four-stroke 50cc engine, equipped with electronic injection, is designed to maximize quality and reliability. 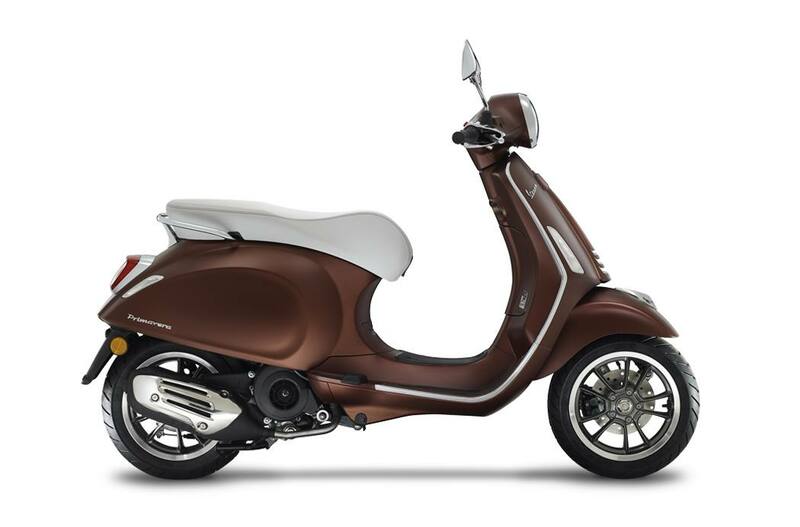 It allows for an extraordinary reduction in fuel consumption and emissions. The perfect engine for your first vehicle. Choose the color you like the most and you’re off! 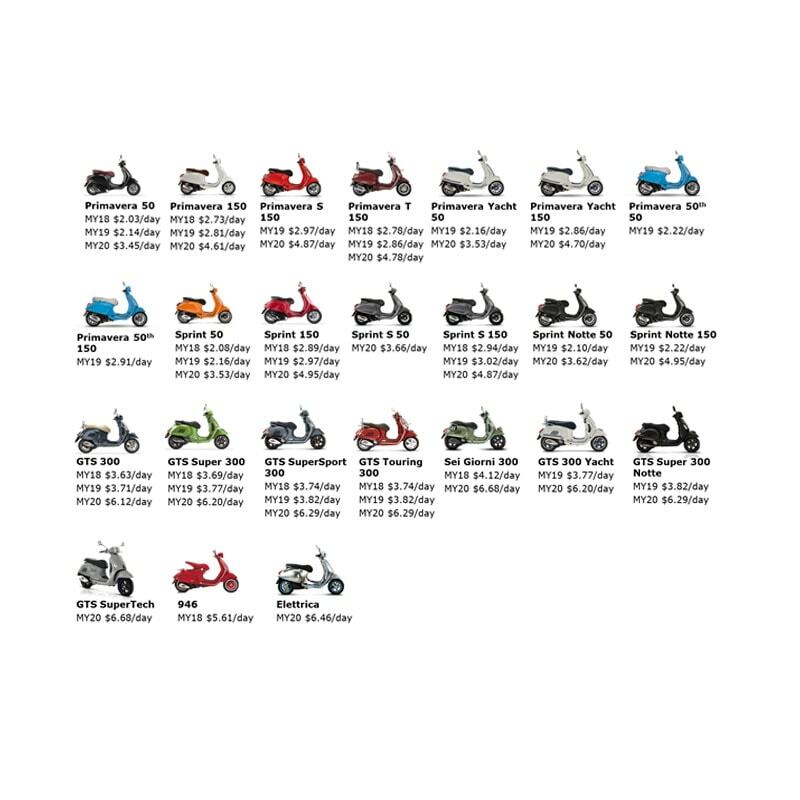 The vehicle image refers to the 150 displacement The company reserves the right to make technical, stylistic, and appearances changes at any time. Vehicles shown may reflect European spec.